This is a full kit that utilizes out Cinch Buckle, Tree Straps, Dutch Clips, as well as a 8″ Continuous Loop wrapped and sliced to the buckles. 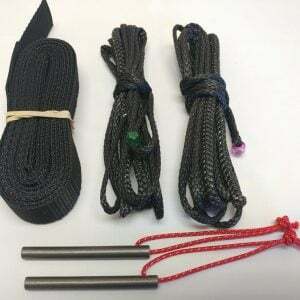 Suspension options include Cinch Buckles (pair) with or without 7/64″ Amsteel loops, Dutch Clips (pair of sew-on) and 15′ Tree Straps (pair) This will outfit both sides of your hammock. 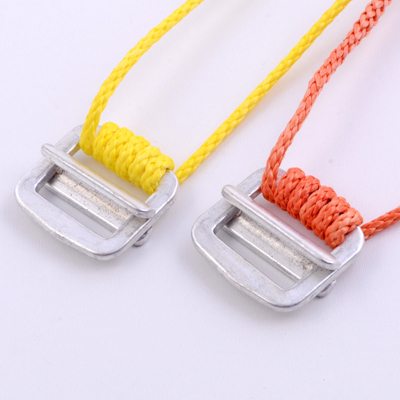 Dutch Cinch Buckles are one of the easiest ways to hang your hammock. They will twist on the loops so make sure they are straight. 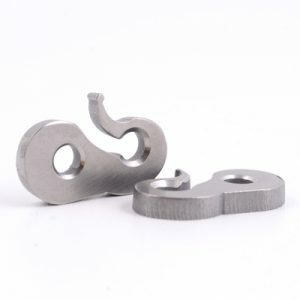 When twisted they can cause the aluminum slider to get off center causing slippage. I always add a slippery half-hitch to keep them in place. After using a set for a couple of years, I ordered them for my Dad. Ordered this suspension for delivery to the UK – super fast, even with custom changes that I had requested. Very happy! I guess I didn’t ask what I meant to. I am wanting to know how many pounds the regular polyester strap will hold versus what the 3,000 lb strap will hold (which is obviously 3,000 lbs). I see the weights for the straps above (which is a great feature on the website … really appreciate that), but it doesn’t say what the regular polyester strap will support for hanging weight. 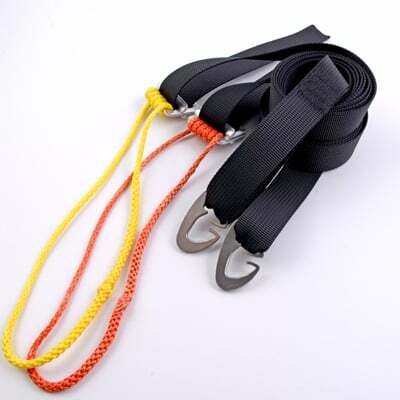 What is the weight rating for the regular (lighter) polyester straps versus the 3,000 lb polyester strap? 3000 pound webbing is 9.6 grams per foot and the Polyester is 7 grams per foot. Those are polyester black straps. 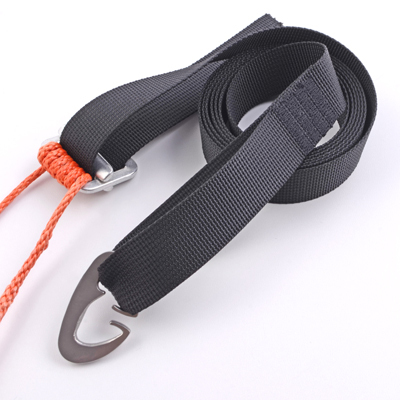 What is the benefit of using the straps with Dutch clips vs just threading the strap through the loop sewn into the end of it? 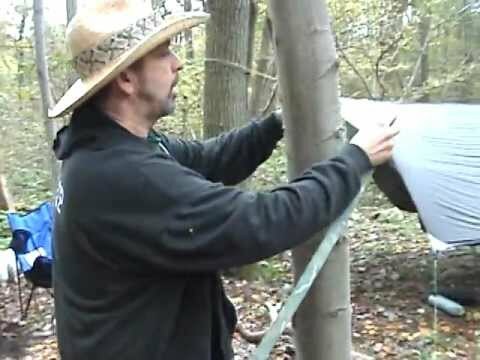 It is quick and easy and very easy if you are already set up and need to switch to another tree. 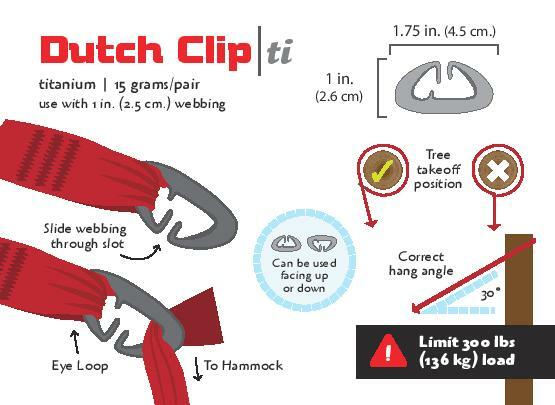 Plus the dutch clip is lighter than a carabiner if you like using them. It really is a matter of personal preference and what you like to do. 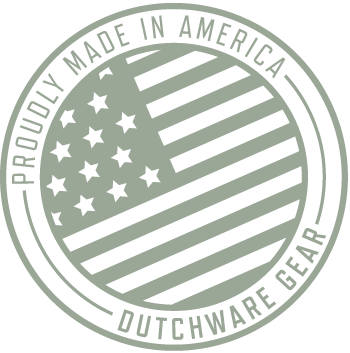 No you do not have to buy two of each and if you would like them to be different colors then please put a not in with your order or email me at sales@dutchwaregear.com and we can note it for you. Yes. If you choose the sew-on Dutch Clips option they will come sewn on to the straps you choose. More Dutch bling is a good thing! Just made my 10th DIY hammock and have been using Whoopie slings sourced from here. Very pleased with the cinch buckle system, especially how easy it is for new people to figure out. A few sets will be going on the hammocks I make for family. Thanks for another great product! Somehow I got caught up in the whoopie sling craze. They started getting harder to re-adjust after laying in the hammock and constricting them. I replaced them with the cinch buckles & loops. They are SO much easier! 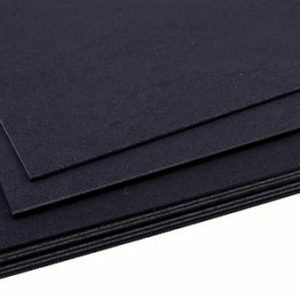 I’ve ordered several items from Dutch and have always gotten good customer service and fast shipping. Now I’m waiting on a custom Winter sock which I’m sure will be a quality addition to my Winter gear. Thanks Dutch! Product: Cinch Buckle Comment by gunner76 . I have been very pleased with the camo webbing and cinch buckles I bought from Dutchware Gear. I have been very pleased with the camo webbing and cinch buckles I bought from Dutchware Gear. Although it takes an extra moment to thread the webbing through the cinch buckle (and a couple extra moments to un-thread it), I love that it can be adjusted tighter or looser with just a pull – no undoing and re-doing knots or hitches, and guessing where the final suspension length will leave your hang angle. The 15′ length of the webbing has proven to be excessive for my needs … thus far. But there may be times to come where I’ll need it. If I want, I can take up most of the excess simply by wrapping around the tree twice. Also glad that I paid to have the continuous loop wrapped into the buckle so it stays straight. It’s a simple and effective system. Perhaps not the lightest, but all in all I find it the best overall for my preferences. I bought 2 full kits with loops and buckle and 15 foot straps. I ordered the cinch buckles with amsteel and the 15′ straps to replace my current setup of atlas straps and carabiners on my Eno DN. I ordered the cinch buckles with amsteel and the 15′ straps to replace my current setup of atlas straps and carabiners on my Eno DN. The ease of setup and weight savings are incredible as well as having longer straps for some of the older trees in my area. I have two Hennessey Hammocks and recently ordered two different suspension systems from Dutch; the cinch buckle system and the spiders on webbing. I have two Hennessey Hammocks and recently ordered two different suspension systems from Dutch; the cinch buckle system and the spiders on webbing. My hammocks display both of the various HH suspension types and I made sure to order the longer continuous loop with attached cinch buckle for the HH with the two holes. This system works awesome! Can’t say enough about it. The perfect system. My other HH was outfitted with an 8″ continuous loop as it was going to be used with the spiders on webbing system. I AM NOT A FAN OF THIS SYSTEM. it’s easy to tighten with the continuous loop inside the “spiders jaws” but to loosen it one must remove the loop from the jaws. Once weight is placed on the system, the loop causes the webbing to bunch up. I don’t recommend this system. I’ll likely just order 2 more loops with cinch buckles, toss these spiders off the webbing and have two cinch buckle systems. Anyone want these spiders? The cinch buckle system gets 5 stars. The spiders get a 3. Traveling light is the only way to fly! Traveling light is the only way to fly! Love this system; I ordered it with the Dyneema/polypro straps, sewn on Dutch clips and added Ti cinch buckles. Infinite adjustment with no weight penalty! My hang keeps getting lighter and more comfortable. Thanks Dutch!